Water constitutes up to 60% of the human body. Individual parts could contain more. An example is the brain where more than 70% is water. We need to take water to survive. The body can go for weeks without food but you can only last a few days without water. An adult should take at least 1 liter a day for the proper functioning of the body. While it is essential for human survival, not all water is good for your body. You shouldn’t be drinking water that you don’t know the source. It could be contaminated with chemicals and germs. This is where purification systems come in. The rule of thumb is never to drink unpurified water. There are some common purification methods that are used to clean water. The process is able to remove up to 95% of contaminants in water. It involves using a physical barrier, biological, or chemical process. Water filtration is mainly used to remove bacterial contamination. Some people prefer using filtration machines instead of buying water to save on the bills. This is an inexpensive method of purifying water that is just as effective as the others. Chlorine is added to the water to disinfect and kill germs. Chlorine treatment has been used for over a century now and still continues to be an effective way of purifying water. Distillation involves separating components at different boiling points. It can be expensive and is only economical if done on a large scale. The water purification methods are done by standards set by the government. It is impossible to see purification with the naked eyes. The water might look clean but is loaded with bacteria. 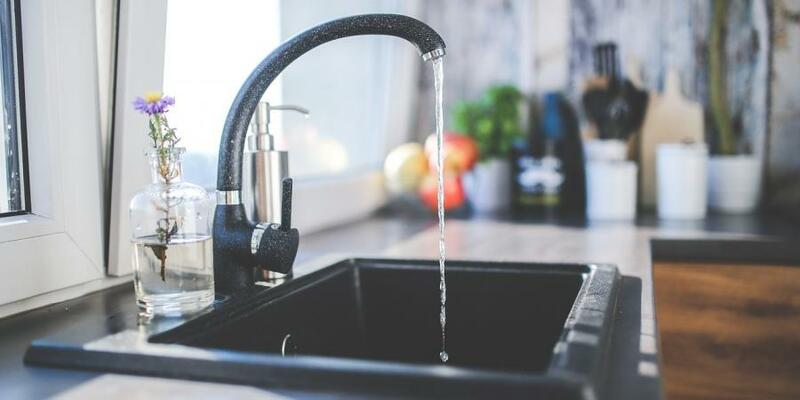 Drinking water straight from the tap might not be healthy depending on where you live because you don’t know where it passed through before going through your pipes. How can you know if your Water is Safe? The easiest way of knowing if your water is safe is by conducting a test. This can be done by a local water purification company in your area. The tests can be carried out at the municipality or residential level. It is through the tests is when can know the next course of action to take. Unpurified water could be contaminated with bacteria and chemicals that are harmful to your body. There are several benefits to drinking clean water but it is a lot easier to describe the potential harm that could be caused by unsafe water. Drinking contaminated water could lead to diarrheal diseases like cholera, Typhoid, and Dysentery. According to the World Health Organization, water-related illnesses cause 3.4 million deaths every year. Fill2Pure Filters removes pathogens and bacteria that contaminate water so as to decrease the incidence of waterborne diseases. Drinking contaminated water is currently the leading cause of epidemic diseases in developing countries. In such situations, the adults and children will drink what is available without thinking about the safety of the water. Children who are exposed to unsafe water are likely to have poor health as they develop. Even in North America and the developed world, there is still the danger of drinking water that is not purified or treated well. There are studies that show that clean water is crucial in a child’s physical and mental development. There are minerals like lead if found in water could lead to stunted development and learning disorders. Pregnant women are more at risk if they drink unsafe water compared to the rest of the population. According to a research done by Princeton University, it was found out that pregnant women who drunk contaminated water were more likely to give birth prematurely or give birth to babies low birth weight. The data was collected over a period of 10 years. It was meant to compare areas with high standards of water purification with areas with low or poor systems in place. There was a significant statistical effect that showed that women were likely to give birth prematurely if they did not have regular access to clean water. Lack of clean water leads to inadequate sanitation. Prevention is always better than cure. Most of the deaths and diseases that come as a result of contaminated water can be avoided. World Health Organization notes that a simple improvement in water hygiene like chlorination could save thousands of lives every year. Making sure your water is purified can go a long way ensuring that you’re healthy. Drinking contaminated water could result to contact sickness. You may not know what is ailing you if you don’t visit a doctor. If you’re drinking from an outside tap, chances are high that the water may be unsafe. It might also be expensive to pay for tests to be conducted. The best option would be to take matters into your own hands and ensure that the drinking water is purified. There are a couple of solutions you could choose from depending on your budget. Water filters and purifiers have become affordable over the years. People who are exposed to contaminated water are more likely to develop Trachoma. This because the bacteria Chlamydia is found in contaminated water. Trachoma affects the inner surface of the eyelids. A victim will experience pain and sometimes the condition could lead to total blindness if left unchecked. The effects of drinking unpurified water can easily be prevented. Although tap water is safe for drinking in most parts of North America, you should make sure you’re taking preventive measures. You can decide to buy a purifier to provide an extra layer of protection for the family.